The Brookwood-Sago grants from the Mine Safety & Health Administration (MSHA) focus on powered haulage safety. A number of producers are troubled by the shift of Mine Safety & Health Administration (MSHA) inspectors from the coal side to metal/nonmetal the initiative. Ogletree Deakins’ Bill Doran and Margo Lopez examine evolving aggregate industry tech and how the Mine Safety & Health Administration (MSHA) will respond. P&Q’s Kevin Yanik explores the positive impact the latest tech can have on aggregate operations. Ogletree Deakins’ Bill Doran and Margo Lopez examine the Mine Safety & Health Administration’s pattern of violations (POV) enforcement policy. 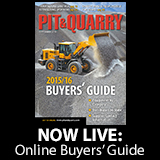 Pit & Quarry hosted its annual Roundtable Jan. 15-16. Check out videos from the event, where attendees discuss new equipment, MSHA, infrastructure and more. 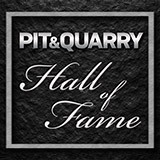 2019 Pit & Quarry Roundtable & Conference attendees share what they think about the direction MSHA is going in under the lead of David Zatezalo.